Tampa Uncontested Divorce Lawyers | Caveda Family Law Firm, P.A. Divorce is a highly emotional and traumatic experience for everyone involved. Those considering a divorce often do not know their legal rights and obligations, which makes consulting a lawyer an absolute necessity. A knowledgeable attorney will work closely with you, analyzing your situation and helping you make the best decisions possible. If you have questions about an uncontested Florida divorce, the divorce attorneys at Caveda Law Firm, P.A., has answers. We have been helping residents of Tampa, Tampa Bay, and Hillsborough County for more than 15 years. Contact us today by calling (813) 336-5690 or by filling out our online form. 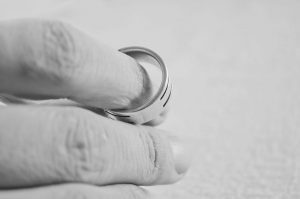 In Florida, the only requirements for obtaining a divorce are that at least one spouse has resided in the state for a minimum of six months prior to filing the case and that the marriage is irretrievably broken. Fault is not considered in granting a divorce, though it may be considered under certain circumstances in the award of alimony and determination of custody issues. For many people, getting through the divorce process with minimal aggravation is preferable. We encourage all our clients to work out as many issues as possible with their spouse before going to court. The simplest divorce cases are those for uncontested divorce. An uncontested divorce means that both parties agree on all issues affecting them, such as: child support, time-sharing (formerly known as custody and visitation), division of property and debts, and alimony. Each party must make full financial disclosure to the other. Uncontested divorces usually are resolved much faster than contested divorces. Of course, an uncontested divorce is only possible in situations where the parties are willing to cooperate with each other and come to a full and complete settlement agreement an all issues. Sometimes, communications break down and an uncontested divorce transforms into a contested one. If you think an uncontested divorce might be right for you, allow us to help you through the process. Once the agreement is made, we will draw up a Marital Settlement Agreement and submit it to the court for a hearing. If you have started the divorce process on your own and have run into trouble, let us help you work it out. Regardless of the nature of your divorce action, a knowledgeable divorce lawyer can ensure your family and property rights are protected. At the Caveda Law Firm, P.A., we keep your needs in mind and work tirelessly to achieve the best possible scenario for you. Contact us today by phone at (813) 336-5690 or by filling out our online form. No matter what your family law issues may be in Tampa, Tampa Bay, and Hillsborough County, we are confident that we can help. Attorney Caveda was thorough, informative, quick and totally amazing in court. Copyright © 2019 Caveda Law Firm, P.A.